Bring real intelligence to the retail side of your business! Introducing AdvancePro-POS, a robust and feature-rich order-entry system designed especially for retail, now integrated with the best inventory and order management software available for small to midsize companies. 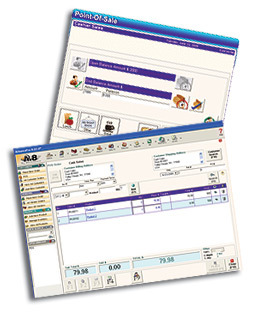 This product combines a user-friendly Point-of-Sale interface with the entire suite of inventory, warehouse, manufacturing and order management features available in AdvancePro. It is the right solution for companies looking to efficiently manage their retail order-entry process, in addition to providing real-time views and updates into their stores, warehouses and inventory. Full integration capability with QuickBooks makes this a truly end-to-end solution. AdvancePro-POS enables effortless order-entry and processing. 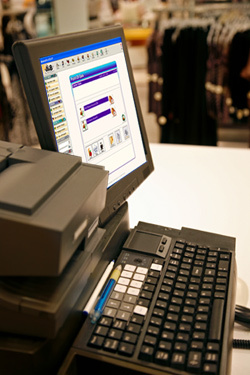 Within multiple stores, warehouses and warehouse locations, orders can be input through a computer keyboard or mouse, barcode scanner, or a touch-screen device. The user interface is straightforward & intuitive, and provides an instant lookup of inventory levels wherever it resides. Ensuring that up-to-date information is available to the cashier, along with quick and error-free order entry, improves the customer experience and will result in increased sales. Managers can get live sales feeds, track sales activity by product category or cashier, view employee time sheets and create useful reports. Multiple price level options, with manager over-ride capability, increases flexibility. Mobility options allow for pick packing and shipping product with a handheld wireless device. Whether you operate one store with a standalone POS terminal, or multiple stores with many terminals networked together, AdvancePro-POS provides the vital connection between your retail environment and your inventory management strategy. If you would like to learn more about AdvancePro POS, please call one of our friendly and knowledgeable Sales Reps today @ 1-888-792-3826. We can answer your questions, or take you through a live, one-on-one online demo. Or, you can order a free trial of AdvancePro.